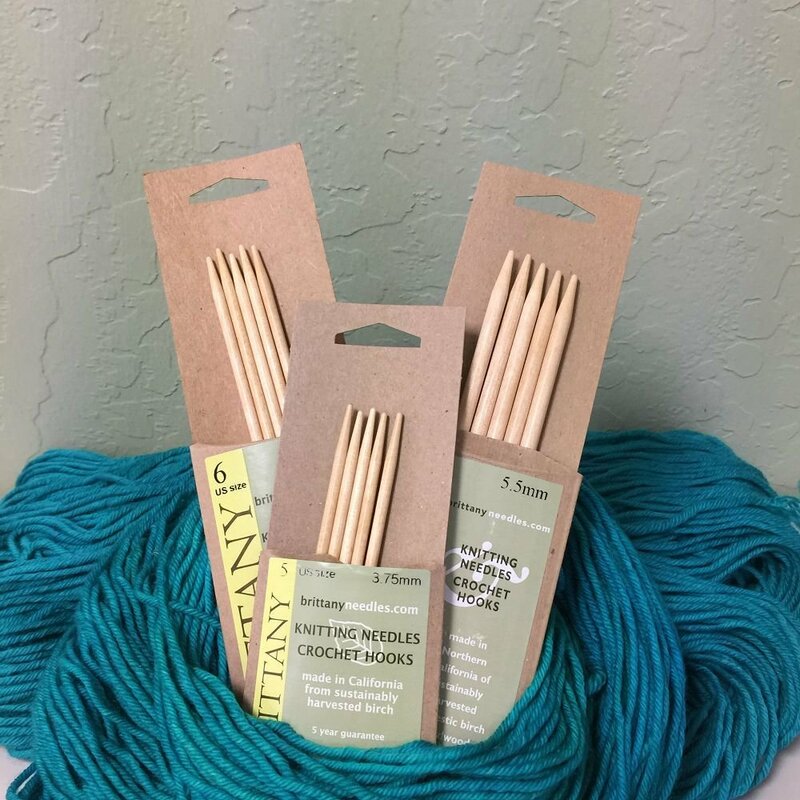 All Brittany needles are made made in California from sustainably harvested birch. These finely crafted wooden tools are hand finished and exactly sized. They are not only beautiful to look at but feel warm and smooth in your hands and are a pleasure to work with.from birch. We make a full range of single and double point needles and crochet hooks. See our size chart below for a complete list of sizes. Brittany straight knitting needles are available in two lengths: 10? and 14?. Both lengths are popular according to personal taste. Yarn gauge and project demands will determine your needs. Double point needles are available in three lengths: 5?, 7 1/2? and 10?, sold in sets of five. Crochet hooks sizes range from D to M and include the size 7 step between G and H. This size is often useful for accurate gauge. Our very popular cable needles come in a set of three that includes one small, one medium, and one large cable needle.